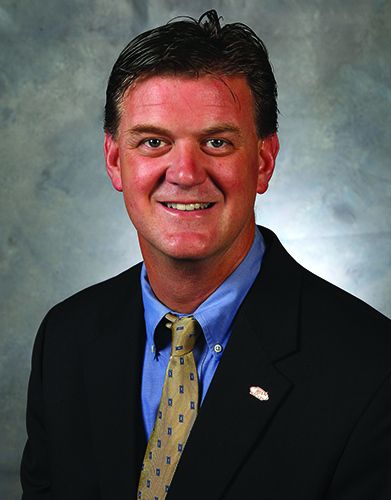 Formerly the head coach for Bowling Green State University’s men’s ice hockey team, Scott Paluch joined USA Hockey as a regional manager of the American Development Model in June 2009. In that role, he provides a blueprint for optimal athlete development focusing on age-appropriate training and long-term athlete development principles for the states of Alabama, Arkansas, Florida, Georgia, Indiana, Kentucky, Louisiana, Mississippi, North Carolina, Ohio, western Pennsylvania, South Carolina, Tennessee, Virginia and West Virginia. The Bowling Green graduate spent seven seasons (2002-09) as a head coach for his alma mater, leading the Falcons to their most wins in 13 years in 2007-08. Prior to his time at Bowling Green, Paluch served as an assistant coach at Boston College from 1994-2002. During his time there, the Eagles made four consecutive NCAA Men’s Frozen Four appearances from 1997-2001, and captured the NCAA Division I National Championship in 2001. The 2008 Illinois Hockey Hall of Fame inductee began his coaching career as an assistant at Bowling Green from 1990-94, during which time he also served as an assistant golf coach and athletic the administration intern. Paluch also boasts a long history with USA Hockey as both a coach and a player. He served as the head coach for the 2001 U.S. Under-17 Select Team that played in the Under-17 Four Nations Tournament in Prievidza, Slovakia, and was an assistant coach for the U.S. Under-18 Select Team that competed in the 2000 Under-18 Four Nations Tournament in Kezmarok, Slovakia. In February 2016, Paluch served as head coach of the gold medal-winning 2016 U.S. Youth Olympic Men’s Hockey Team. Along with his USA Hockey playing experience, Paluch patrolled the blue line for Bowling Green from 1984-88, earning All-America and All-Central Collegiate Hockey Association First Team honors his senior season. He graduated as the Falcons’ all-time leader in goals and points among defensemen. Following his collegiate career, Paluch signed a professional contract with the NHL’s St. Louis Blues, and played two seasons (1988-90) for Peoria, their International Hockey League affiliate.